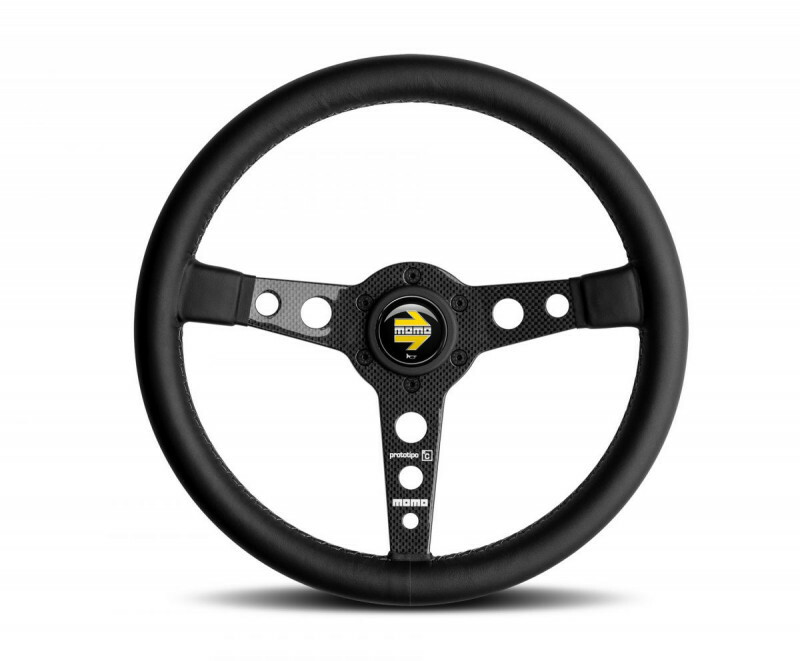 The timeless MOMO Prototipo steering wheel has a classic round rim with three cut-out spokes. The wheel is covered in black leather with white contrast stitching. 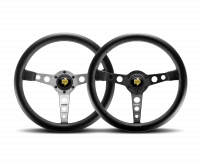 The MOMO Prototipo steering wheel measures 350mm in diameter, making it ideal for larger sedans and GT cars. The grip section is 30mm x 29mm and a MOMO horn button is included. This is the carbon fiber spokes version.